Although many of us feel that family should take care of family. The truth of the matter is that this responsibility can become overwhelming and exhausting. As caregivers ourselves, we know the emotional and physical toll of providing full-time care for a loved one. You promised your loved one that you would do everything you could to help support them in their later years. But, now, you may be struggling to find that balance between family, work, school, etc. How can you take care of your aging loved one, if you’re running on empty? As the caregiver, YOU have the right to choose a plan of caring that accommodates the needs of both you and your loved one. You deserve the support of a compassionate and dedicated team of experienced professionals, who know the law and the long-term care system. You deserve a team of professionals who are dedicated to empowering you and your elderly loved one in navigating through the long-term care maze. Most importantly, you deserve a team of professionals who are easily accessible during your time of need. A caregiver provides the physical and/or emotional care to a chronically ill or disabled elderly parent, spouse, special needs adult, or child. The person in need of care could be suffering from a physical or mental illness, disability, or other chronic conditions such as cancer, stroke, multiple sclerosis, dementia, diabetes or Alzheimer’s disease. 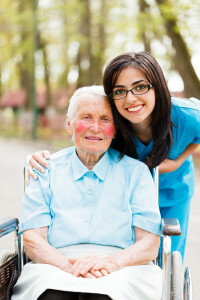 It is normal to feel overwhelmed by the responsibility of being a caregiver. That is why it is important to recognize when the caregiver needs help. If you are a caregiver it is essential to know how and when to ask for and accept help and support from others. 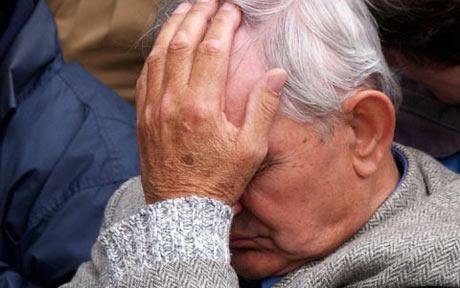 All Caregivers face stress, but if you’re caring for a loved one with memory impairment, you may be at higher risk. Research from the Alzheimer’s Association indicates that 67% of caregivers caring for a memory-impaired spouse will actually die before their husband or wife. What's wrong with Mom and Dad? 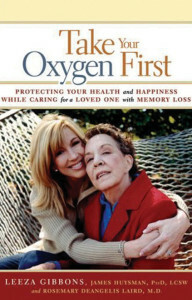 Read the book by Leeza Gibbons about caring for loved ones living with Alzheimer’s disease and other memory loss disorders. Preview Take Your Oxygen Firsthere.